Great looking tile begins with great looking grout! World’s Best Grout/Tile sealers, colorants, cleaners, and enhancers. 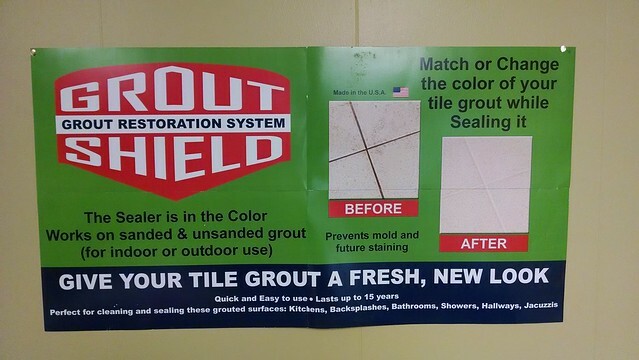 GroutShield! Grout is the framework for the artistry that is your tile! The finest tile in the world will be far less appealing if it is literally surrounded by stained, dirty tile. Groutshields products are scientifically designed to give your stone and tiled surfaces the best look possible. Easy to apply, and budget friendly, our products put a beautiful floor within everyone’s reach! 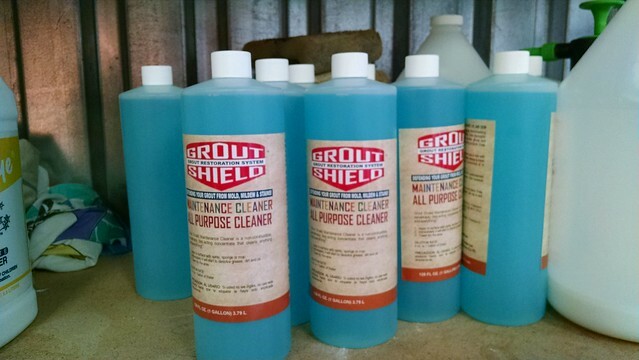 GroutShield’s products make maintaining your grouted tile floor a snap! All types of grout … sanded, unsanded, and epoxy-based grout …require maintenance from time to time, even if it is minimal, to maintain their best appearance. Don’t know what type of grout was used on your floor? Often times the size of the space between tiles makes a difference. Sanded – This type of grout contains fine sand and is most often used for seams that are 1/8” and wider. Unsanded – This type of grout is typically used for a seam that is less than 1/8” wide. tiles that are over a ½” thick. to grease, acids or other caustic materials. Always feel free to call with any questions you may have regarding our products, how to use them, or anything else we can help you with … we are glad to be of assistance! GroutShield products make your tiled surfaces look their best! How can we be of help? Call Today!